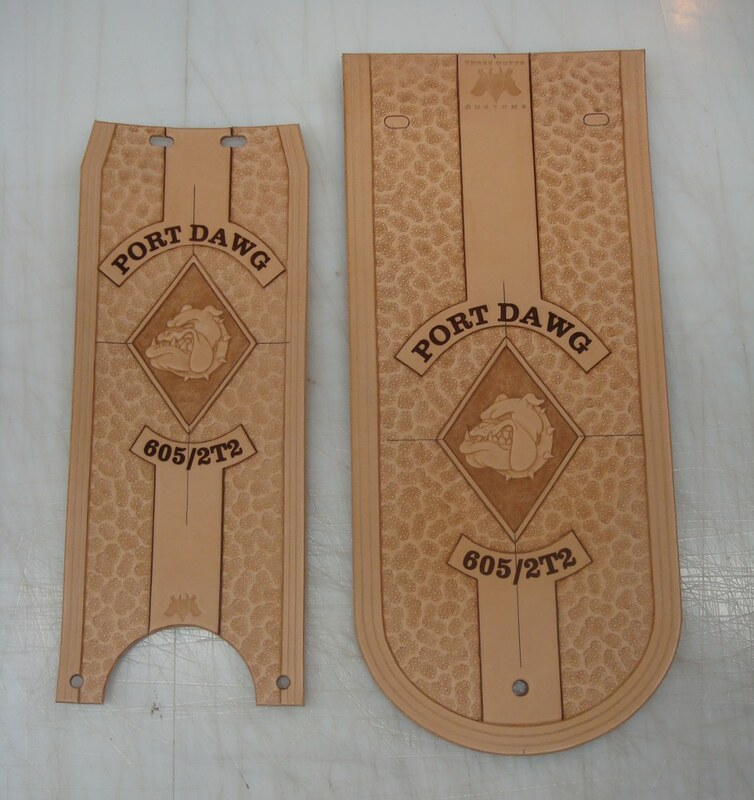 Received some cool shots today of the Port Dawg tank and fender bib set from the client. 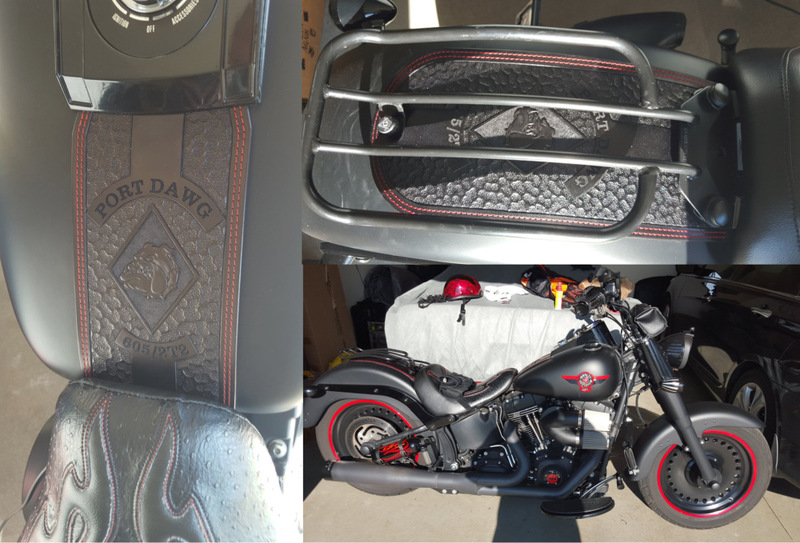 Here they are installed on his black & red 2012 Harley Fatboy Lo. 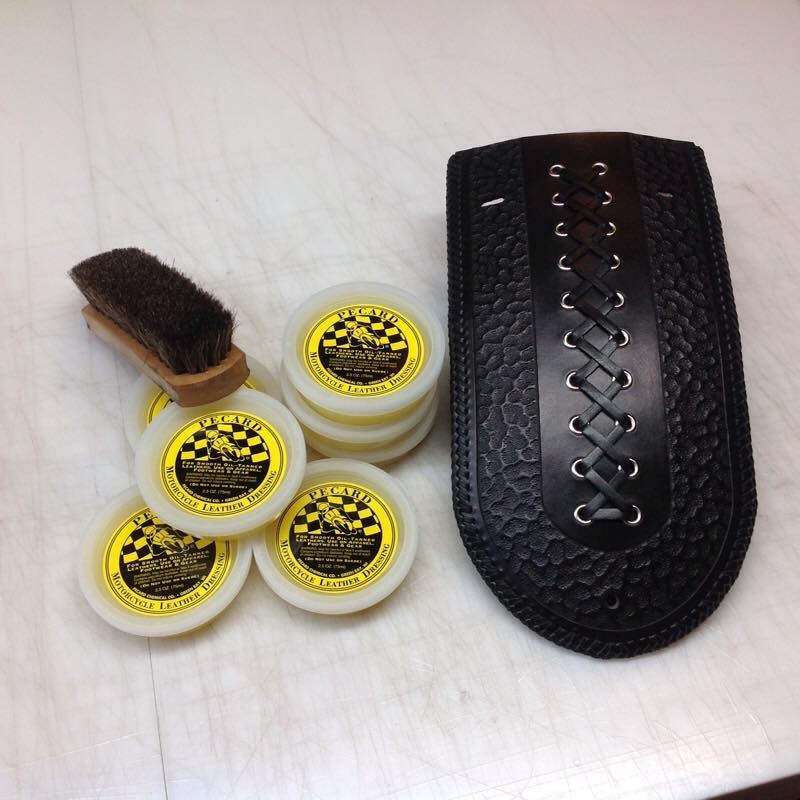 The double stitched and burnished edges make for a good tie in with the matte paint job and red accents. The text is laser engraving set inside the hand tooled borders with Chaos Pebble background, the bulldog was also hand tooled. Here are the bike shots and a shot of the tooling “in the raw”.